During the first few weeks of starting in my job, one of the biggest things I learned was the SOLID principles of programming. Each of the letters stands for a certain principle, so I started from the beginning. The first letter S stands for Single Responsibility Principle, or SRP. In essence, SRP states every class should only have one responsibility. This responsibility should be completely covered by the class. By focusing on a single concern, classes will be more robust, as it will not inadvertently change other things without the users' knowledge. Furthermore, it allows for better reuse of the code, because future users of this will know exactly what its purpose is, without worrying about side effects. This type of principle can extend outside of programming too. For example, pliers are all trying to accomplish a similar task, but there are specific ones made for different tasks. There are pump pliers, whose main purpose is to act like a wrench, and then there are long nose pliers to reach narrower places. You would not try to use pump pliers in your computer case, nor would you not use a needle nose on bathroom pipes; each of these pliers have their own responsibility. On the other hand, Single Responsibility Principle refers to a class, and not to software as a whole. If your word processor could only type words, but would not open old documents, import in photos, or copy and paste, you would probably look elsewhere for a more competent program. While there are probably specific components accomplishing each of the above tasks, they work together to make a capable piece of software. When I see technology products targeted primarily for a certain purpose, I have to admit I am a bit weary of them. 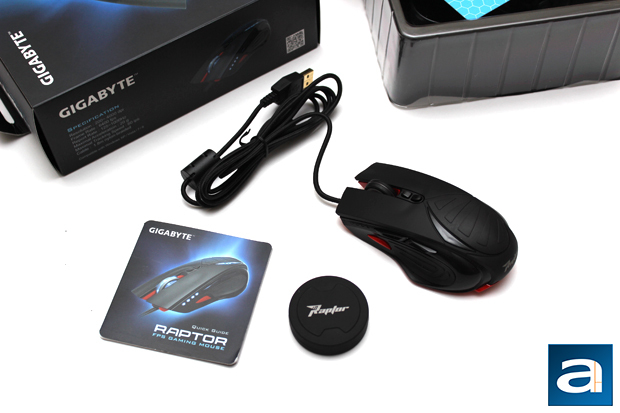 This mouse today, the Gigabyte Force M63, is labeled as a first person shooter gaming mouse, and I can only wonder if this mouse is only for this genre of games. Does it follow the single responsibility principle in a negative way, or can it perform for all kinds of usage? Hopefully this review will answer your questions, and more, so let us read on to find out! 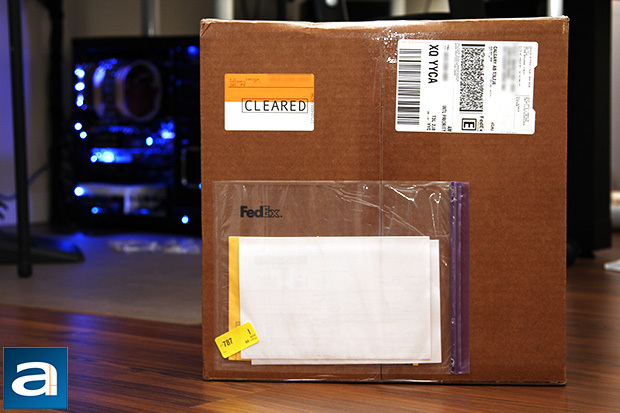 Today's review unit of the Gigabyte Force M63 arrived from Gigabyte's Californian offices in the City of Industry. Arriving to APH Networks in Calgary, Alberta, Canada, this product flew with FedEx International Priority. Looking at the box itself, you can see there is a slight dent at the top of the box, but otherwise the shipping container is flawless. Along for the ride with the Gigabyte Force M63 is the Gigabyte G1 Gaming GeForce GTX 970 4GB, which was very recently reviewed by Jonathan Kwan. Both of these products were contained in this standard corrugated cardboard box, and none of them showed any signs of damage. After reading all the fun facts, we can get to the product itself. Pulling the Gigabyte Force M63 out is as easy as opening the the top flap and pulling out the plastic tray. The mouse can be found inside the tray beside the black puck, which turned out to be the container for the weights. This mouse also is covered in a lot of plastic to ensure there are no scratches on the mouse, especially on the glossy areas. In addition to these two items, there also is a bit of documentation to show how to set up the mouse. 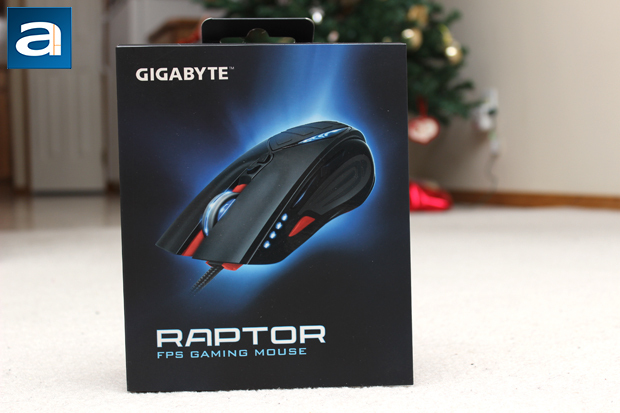 Of course, this mouse is pretty much plug and play, so you do not need to really read this at all. So let us remove all our other distractions, and take a closer look at the mouse itself. posted 16 hours and 54 minutes ago, with 9 posts. posted 21 hours and 23 minutes ago, with 9 posts.